10 FREE Spring Printable Packs for Kids—Over 300 Pages! 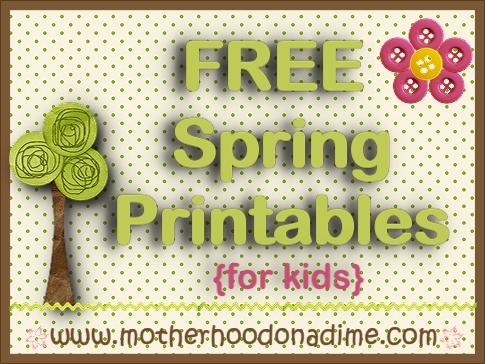 Download these 10 free Spring Printable Packs for Kids. « Get Weight Watchers magazine for $4.99 per year! Thank you for sharing! I need some stuff for the kids. click on link and I get an error page??? You’re right. It looks like her site went down. 🙁 Hopefully it’s back up in just a bit. It was working just a little bit ago.